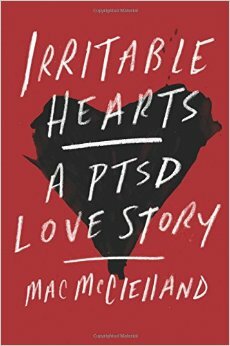 Mac McClelland is a journalist who developed PTSD while on assignment in Haiti. The various events/conditions that led up to the disorder are more complicated than the previous sentence makes them out to be, and of course dealing with PTSD in the years that followed was also very complicated. This book walks through that entire process. First off, let me address some criticisms of this book that I’ve seen all over the place. McClelland does not go into details about some of the events that led up to her PTSD, for multiple reasons. Some people assume her story is unreliable in some way because of this. Additionally, given that McClelland mostly witnessed other peoples’ trauma rather than undergoing it herself, there are people who believe that she is sensationalist, narcissistic, self-centered, faking her symptoms, blah blah blah. Both of these criticisms anger me, because they are the sorts of things people say when they don’t understand the true nature of PTSD, and the invalidate the experience of the person suffering. A personal note on PTSD: It took more than 25 years for my own complex PTSD to be recognized and diagnosed. The causes of my trauma disorder are things that have been blown off by people in the past, as in, “That happens to lots of people, you’re just making a big deal out of nothing.” This completely undermines and invalidates my experience, because for me, those things weren’t a small deal, and they did cause me to develop a trauma disorder that continues to affect me, my dealings with the world, and my relationships to this day. What many people don’t understand is that PTSD isn’t about whether a trauma is “bad enough,” nor is it about “dwelling on the past.” It’s about your body and brain getting stuck in an unending loop, when trauma is unable to get resolved and therefore stays ever-present. Just like a veteran might have flashbacks triggered by fireworks, I can just as easily have a full-on blind panic attack triggered by a casual conversation or action. I’m not going to go into all my particular details here. My point is just that the general public knows very little about PTSD, and it’s far too easy to judge someone who has it if you’ve never experienced the sorts of uncontrollable physical/emotional/mental reactions that the disorder brings. Now. Stepping off the soapbox. McClelland’s memoir was very well put-together. She discussed a lot of objective information on trauma, PTSD, recovery techniques, cultural awareness, etc, while at the same time discussing her subjective personal experiences. There was a good balance in that. She also presented the horrors of going public and having the public attack – something that has happened since the publication of this book as well, as noted above. Writing this, and the other things she has written on PTSD, was incredibly brave, in my opinion, and to then provide a very good balance between objective and subjective on top of that made for a very powerful book. On a personal note (yes, again), I want to say that while reading this book, two very important things happened for me. The first was that I had a moment when I picked up the book, read a sentence, and immediately had to put it down as I began to dissociate. The sentence itself was not important. Instead, it triggered off a series of memories that realigned in my head. Again, not going into details, but I suddenly saw the last fifteen years of my life in a much clearer way, and discovered roots of parts of my life that I’d previously remembered-but-not-understood. The second was profound relief regarding my own dissociation (in general, not in the specific mentioned above). I never understood why, when I dissociated, I tended to lose random body parts, like mid-thigh to mid-calf, or just my arms below my elbows, or just my hands. I still don’t know why, but hearing that McClelland also randomly loses her hands or arms made me feel less out of the ordinary. Before I end this review, let me give one word of caution to anyone who might want to pick up this book. There is a lot of discussion about sexual violence here, some of it very detailed, so if that is a trigger for you, proceed with caution. This entry was posted in 2015, Adult, Prose, Wellness and tagged gender studies, nonfiction, psychology. Bookmark the permalink. Wow, this sounds really, really powerful. This sounds like an important read. Thank you for adding your personal experience with the subject matter, that made me want to read the book more than anything else you wrote about it!